C&B Construction provides utility and culvert installation and removal services. 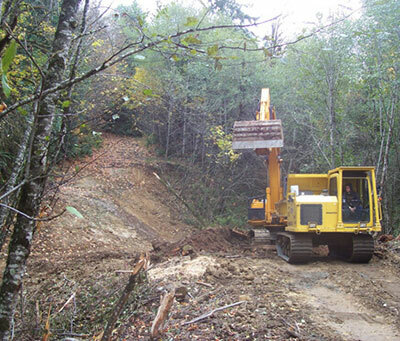 The Spyder Hoe provides the added benefit of being able to access sites with limited entrances or steep slopes. 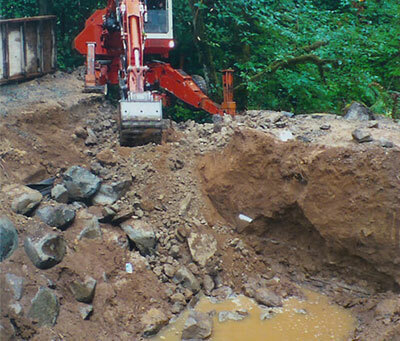 This project involved mass excavation for removal of two road culverts that prevented fish passage on Dairy Creek. The stream bank was re-graded and the stream channel and gradient were re-established. West Fork Dairy Creek Restoration Banks, OR.